Legend has it that in 1919, upon returning to Florence from a trip to London, Count Negroni (who may not actually have been a count) asked the bartender of the Caffè Casoni to make a stronger version of his favourite Americano cocktail by substituting Soda water for London Dry gin. The bartender then decided to add an orange garnish and the Negroni was born. 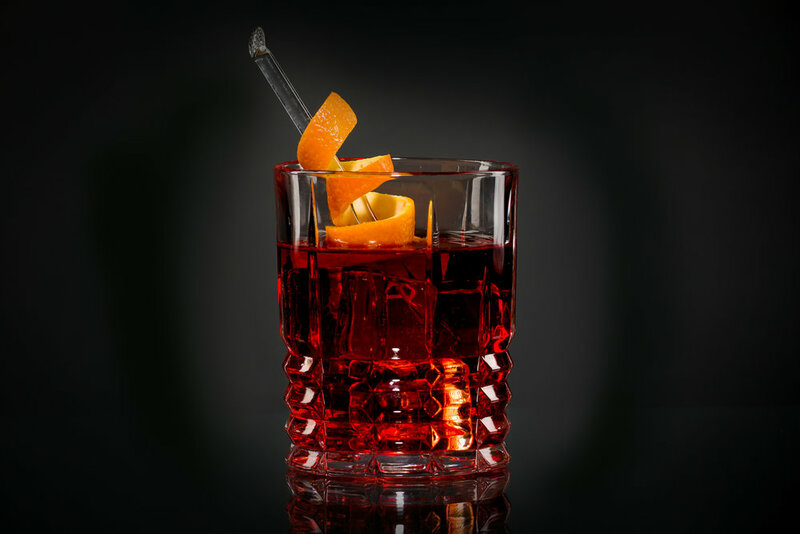 Technically considered an aperitif in Italy, the Negroni is made of one part gin, one part vermouth rosso and one part Campari, then garnished with orange peel. It has complex herbal, fruit and spice notes and the Deco gin adds it's own botanical accents of citrus, spice and liquorice. Orson Welles discovered the drink in 1947 while working in Rome and described this new drink in a newspaper article "the bitters are excellent for your liver, the gin is bad for you. They balance each other." Pour all ingredients directly into a short tumbler filled with ice. Add the orange peel twist.